With billions of users all around the world posting millions of updates every day, it can be overwhelming to follow any topic or conversation on social media. 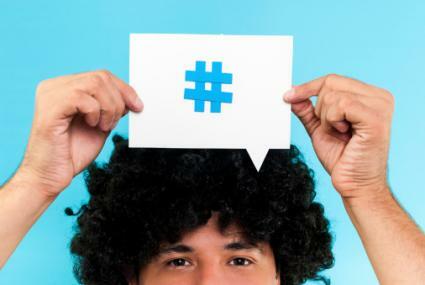 Hashtags can help to provide much-needed organization. They are implemented in slightly different ways across the major social networking sites. A hashtag is a word or short phrase that is preceded by the hash symbol (#), otherwise known as the pound symbol or the number sign. On social networking sites, a hashtag is used to identify a particular topic or area of interest. Their main purpose is to organize content so that users who wish to follow a particular topic can simply click on or search for the corresponding hashtag, and all of the relevant updates containing that hashtag will be displayed. From the perspective of the reader, hashtags make it easy to follow the online chatter on a particular topic. This is particularly useful during developing news stories or live events. During the Academy Awards, for instance, the hashtag #Oscars might be used. From the perspective of the person (or company) posting with the hashtag, it improves discoverability and helps their updates be seen by more people. Social networks can be used for a myriad of different purposes, from personal to professional. And while different social media sites use hashtags in fundamentally the same way, each site has its own subtle nuances and features. Because Facebook allows users to have different levels of visibility with their posts and profiles, like "Public" or "Friends Only," the visibility of posts with hashtags in them is directly impacted. When you use the search function at the top of the Facebook page and search for a particular hashtag, only the posts that are shared with you (or set to public) will appear in the results. Similarly, any updates you post with hashtags will only be visible to those with whom you share them. The first ever hashtag appeared on Twitter back in 2007. When posting a tweet, you can include a hashtag anywhere in your status update. It can be in the beginning, at the end, or anywhere in between. It is important to note that the hash symbol, as well as the actual word or phrase itself, will count against Twitter's 140 character limit. The most popular hashtags, as well as those promoted by companies, appear in the right sidebar of Twitter under the Trends section. Simply click on the hashtag to view the conversation in real time. Hashtags included in either the image caption and in any comments are indexed by Instagram. This allows for these posts to appear under the Discover tab in the Instagram mobile app, as well as when anyone conducts a search for that hashtag. While the hashtags themselves were once only "clickable" within the mobile app, they can now be clicked from the web browser on a computer as well. For instance, https://instagram.com/explore/tags/lovetoknow/ contains all the Instagram uploads that have the hashtag #lovetoknow. While the hashtags on websites like Instagram and Facebook are clickable regardless of whether they are a part of the original post or if they are part of a comment, that is not the case with Pinterest. Hashtags in the Pin description are the only ones that can be clicked. A hashtag in your "about" section cannot be clicked. Also unlike most other social networks, hashtags are not supported in the Pinterest search function. The search will bring up any instance of the keyword, including when it is a part of the image file name or the destination URL. At the most basic level, hashtags serve the same function on Google+ as they do on most other social media sites. You can include hashtags anywhere in your status updates and other posts, just like on Twitter. 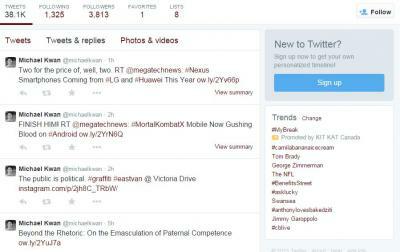 Clicking on a hashtag will bring up related content from other users. What makes Google+ a little different is that when you share a link, Google+ may also automatically assign a relevant hashtag to the post and display it in the top-right corner of the update. Hashtags on YouTube are most commonly found in the comments section of each video. However, they do not serve exactly the same function as other sites. Clicking on any given hashtag will simply initiate a YouTube search for that term (without the hash symbol) rather than simply listing all instances of the hashtag. For Tumblr bloggers, hashtags can be added to each individual post in the Tag section of the post form. Tags do not need to be preceded with the hash symbol and you do not need to place quotes around multi-word tags. Simply press enter after each tag. From the perspective of the reader, the visible hashtags can be clicked on and searched for, bringing up tagged content from all Tumblr publishers. Using hashtags is easy, convenient and powerful, but there are a few key guidelines to keep in mind. Hashtags can contain letters and numbers, but not symbols or punctuation. Hashtags can be one or more words, but multi-word hashtags must not contain spaces. If you want to use "Vancouver Canucks" as a hashtag, for example, you can write it as #vancouvercanucks. When using multi-word hashtags, capitalization can help to separate the words (e.g., #MyFavoriteCity). Avoid connecting too many words together in a single hashtag, as it can be confusing and ineffective. Avoid including too many hashtags in a single status update or post. While hashtags can be used anywhere in an update on many social networks, they are oftentimes best utilized as a single hashtag at the end of a post. When creating your own hashtag, like for a wedding, make sure it is unique enough that only updates related to the event will use it, but short and memorable enough that the right people will want to use it. Watch for hashtags shown on the screen during television shows and news programs. This helps you better join and monitor the conversation. Hashtags are incredibly advantageous for individuals wishing to follow an event or topic via social media, just as they can be very valuable for brands and companies too. The overwhelming deluge of social media is automatically curated and organized with the strategic use of hashtags. You just have to use them correctly.